The Three Thirty Three is back for 2018! Cost: $150 per team for the entire season. Paint – $50 per case of GI 3-star or equivalent. 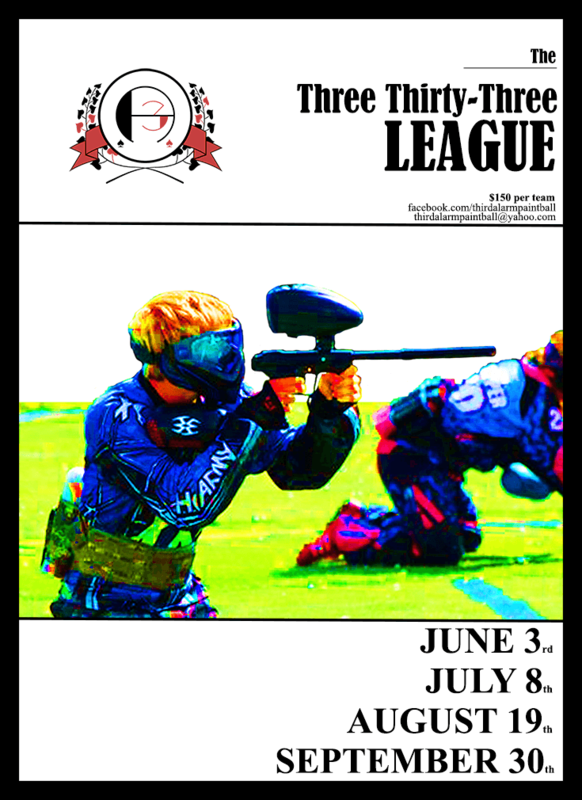 Teams are encouraged to pre-register. You can do so at our contacts page, by email, by phone, or through Facebook. Rules: 3 man race to 5. Max of 4 points. No overall clock. NXL rules and NXL firing mode. Teams will play twice an event and be done for the day. Prizes: Belt for first, trophies for second and third. We will have a larger raffle pool for giveaways at the last event. All events will take place starting at 10AM.